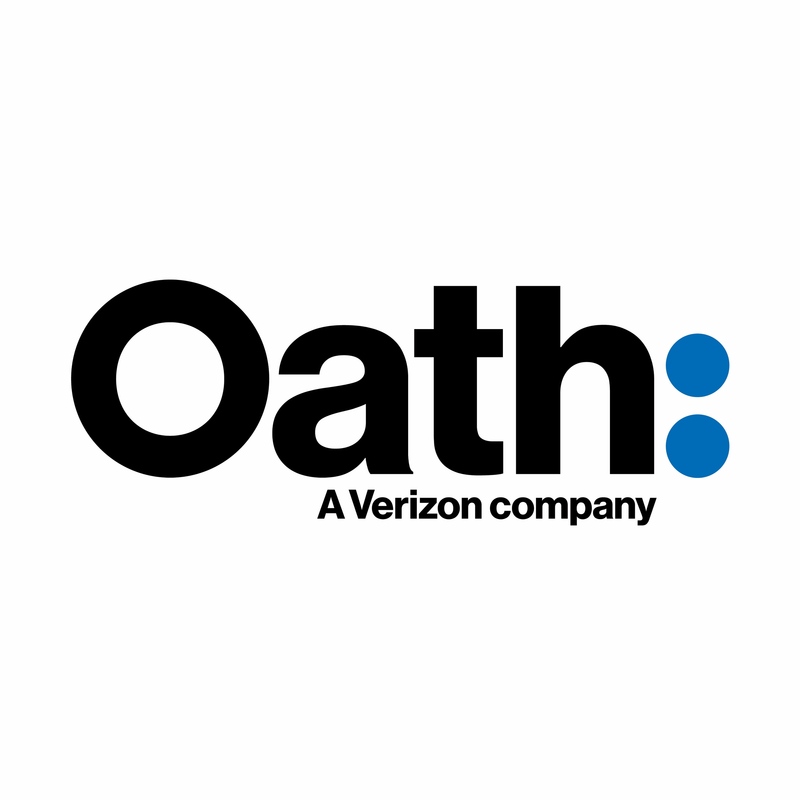 Editor’s Note: Oath Ad Platforms is a Samsung partner and leader in native advertising solutions. To learn more about in-app event optimization or marketing your app on Galaxy Apps, Bixby Home, or Game Launcher through Oath Ad Platforms, contact HelloNative@Oath.com. *Source: comScore 2017, Flurry 2017, TechCrunch 2016. Given the state of app discovery, user acquisition strategy shifts from getting installs to reaching the right users. Fortunately, every app has certain in-app events that serve as signposts to identify likely long-term users. Optimizing user acquisition for these events increases your odds of finding regular users. Many in-app events are universal, but the importance of each event can vary widely. Tracking events is critical to understanding their relative importance. Take paid apps, where developers track first purchases as a milestone. However, depending on the maturity of the app or the nature of the offering, the number of first purchase conversions might be insignificant. When developers lack a meaningful sample size of conversions, they should identify proxy events. Working backwards, these proxies translate into a user funnel. As an example, let’s look at a mobile game and work backwards. Before an in-app purchase, a user needs to visit a storefront or see an offer. Typically, a user won’t do so until they’re low on in-game currency. What does it take to get a user to that point? Engagement. If gameplay is unique, completing a tutorial could be important as well. 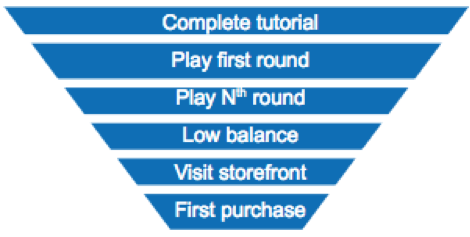 Tip: Each step in the funnel can be broken down further as needed. For instance, the “Visit storefront” step could include adding an item to cart. After identifying in-app events that correlate with key conversions, developers who run paid app-install campaigns can optimize for these events instead of installs alone. In other words, rather than seeking any user who will install your app, you can now target users who are most likely to complete a tutorial or sign up for a free trial. This enables developers to minimize dollars spent on users who install apps but don’t convert into profitable users. At Oath Ad Platforms, we run “in-app event optimization” campaigns across our 1 billion users worldwide by leveraging trillions of mobile signals ranging from a user’s recently used apps to his or her past purchases. Whenever a new user converts on an in-app event, our algorithm becomes better and better at recognizing users with similar patterns who are more likely to complete that event as well. In one recent success story, a leading rideshare app teamed up with Oath to target users who completed an in-app event of taking a first ride. With Oath’s data signals and algorithm, the app was able to scale “first riders” by 10x with a 78% lower cost-per-conversion. Tip: If you are having trouble scaling an in-app event optimization campaign, it likely means there aren’t enough signals (i.e., conversions) for an ad platform’s algorithm to find users who are likely to convert. In this case, developers can “move up the funnel” and optimize towards in-app events that are more common, yet still correlated with a desired milestone. It all starts with tracking and identifying your most impactful in-app events. Once you identify these, not only can you build a better app experience but you can also leverage that understanding to acquire the right users. See Vice President of Product Management, Michael Albers’ presentation on Reaching Your Audience Through Bixby Home at the Samsung Developers Conference.